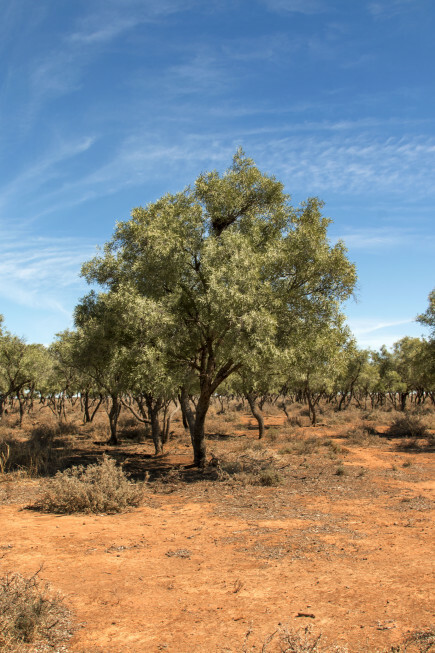 On the 31st of March Riverina Local Land Services held a rangelands paddock walk with local Australian Network for Plant Conservation ecologist and Conargo property owner Martin Driver was the principal speaker. The day started with the fifteen participants meeting at the Royal Mail Hotel at Booroorban. 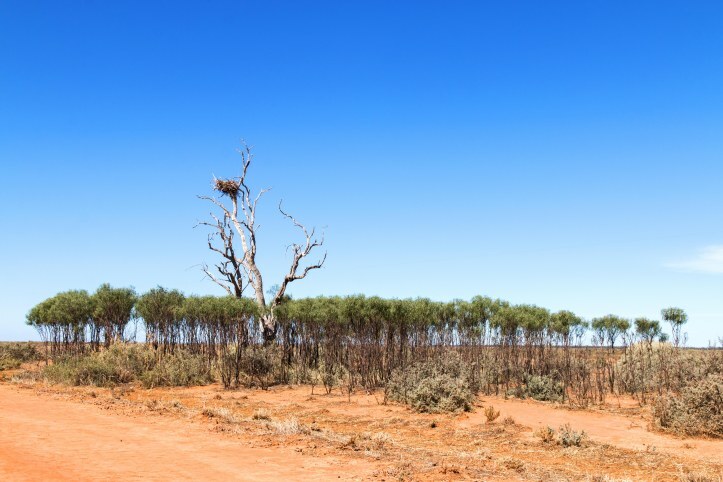 Annabel Lugsdin, the local Landcare Coordinator for Hay Rangelands was in attendance armed with her camera (see photos attached). 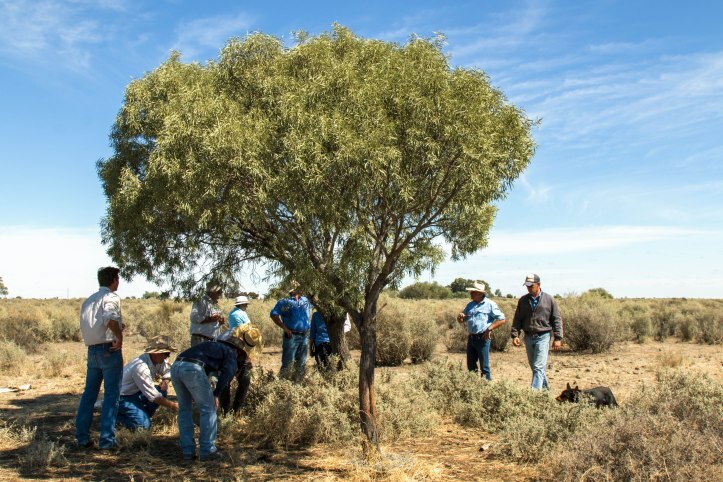 At the pub refreshments were provided and a native plant and a rangelands plant identification resource display discussed before the participants travelled out to a local property Thalaka, which had been recently purchased by the Simpson family. 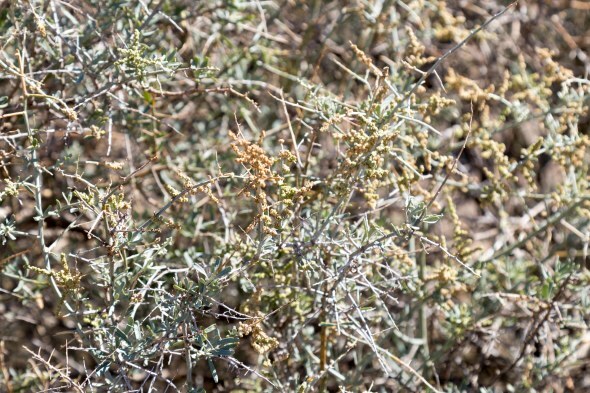 First viewing point at the property visited, Thalaka, was a predominant stand of Bladder Saltbush (Atriplex vesicaria), with discussion focused on a boundary fence line that showed a multi-decadal grazing pressure forced vegetation change from Bladder to Dillon Bush (Nitraria billardierei). 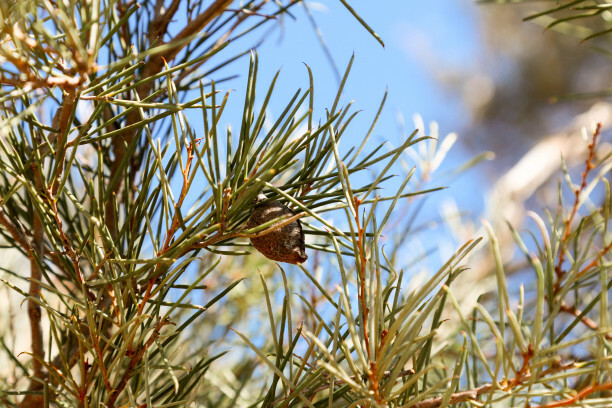 Next stop was to view a sandhill vegetation community that included Yarran (Acacia melvillei), Silver and Hooked Needlewoods hooked (Hakea leucopteral and Hakea tephrosperma), Butterbush (Pittosporum angustifolium), Emubush (Eremophila longifolia), Narrow Leaf Hopbush (Dodonaea viscose subsp. 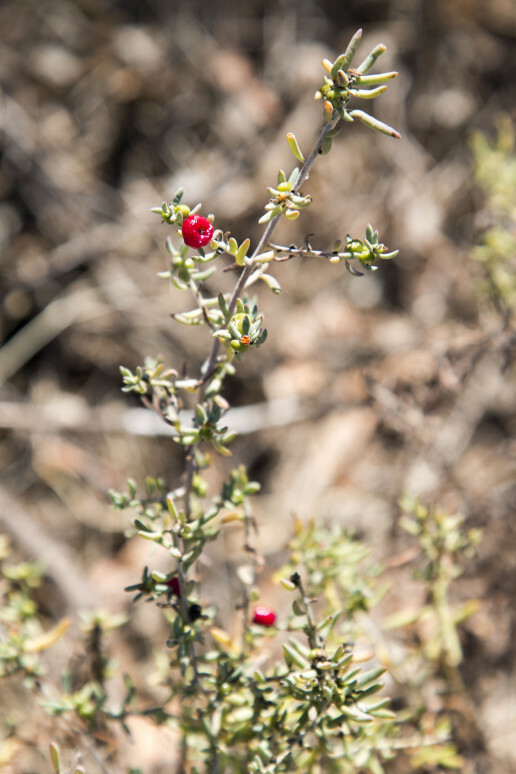 angustissima), Ruby Saltbush (Enchylaena tomentosa), Punty Bush (Senna artemisiodes subsp coriacea), Thorny Saltbush (Rhagodia spinescens) and Western Boobialla (Myoporum montanum). From here we moved to a Rosewood community (Alectryon oleifolius) that was situated on the edge of a swamp containing Nitre Goosefoot (Chenopodium nitrariaceum) and Lignum (Muehlenbeckia florulenta) and an unexpected Flax-Lily or Dianella sp. On the northern side of the swamp, on a small rise, were some Quondong (Santalum acuminatum) trees that had one stage had been protected from grazing with netting guards to allow them to reach maturity and set fruit. Returning to the homestead for a lunch break and discussion, Annabel promoted the local landcare coordinator initiative and Hay Trees on Plains Landcare group. She is please to say that all participants were eager to learn more about the revival of Landcare in the region. 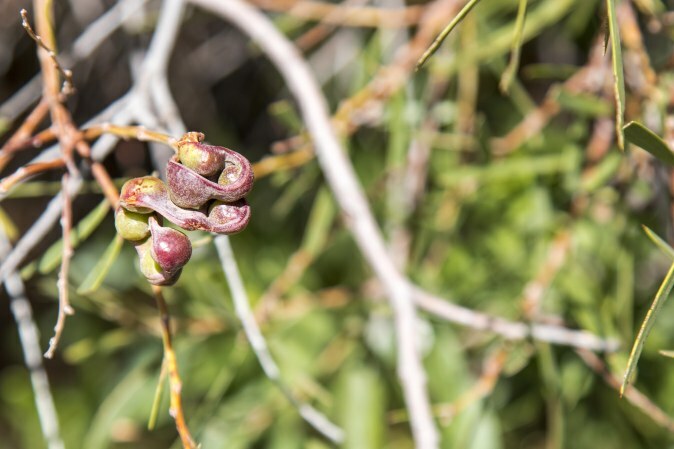 The group also viewed a Miljee (Acacia oswaldii) tree and Cooba (Acacia salicina) trees or native willows around the garden yard. Due to the success of this paddock walk (and others before it) there will be more walks planned once rain the rain finally falls on the Hay rangelands.